While most organizations start the year with unrealistically high hopes, the 2016 MLB season featured a number of tanking teams that had zero expectations. Among them were the Atlanta Braves, Cincinnati Reds, and Philadelphia Phillies, three clubs that were at one point destined for historically bad seasons. Good thing all three had scorching-hot streaks, relatively speaking, that allowed them to win six out of 10 here and there to save some face. But strange things have happened since the calendar marked the close of the first half of the season on June 30. Once-optimistic franchises have gone into absolute free-fall mode, with Arizona leading the charge for utter futility on the diamond. Since the start of August, surprise contenders have emerged in the race for worst team in baseball, 2016 edition. Here are the four clubs who risk wearing this title at the end of the season — one strong favorite, one tanker too impossible to ignore, one suddenly convincing disaster, and a hard-changing long shot that could make every franchise in the league feel good about itself come October. Atlanta has been an easy target all year because of the extreme rebuilding project the franchise undertook beginning last offseason. The effort appeared to work, as the organization’s farm system ranked second at the beginning of 2016. (Post-deadline, its stock dropped to ninth, according to MLB Pipeline.) What is left of the big league club has been a mess offensively, with the team ranking at the bottom in every relevant category. Why get too in-depth? 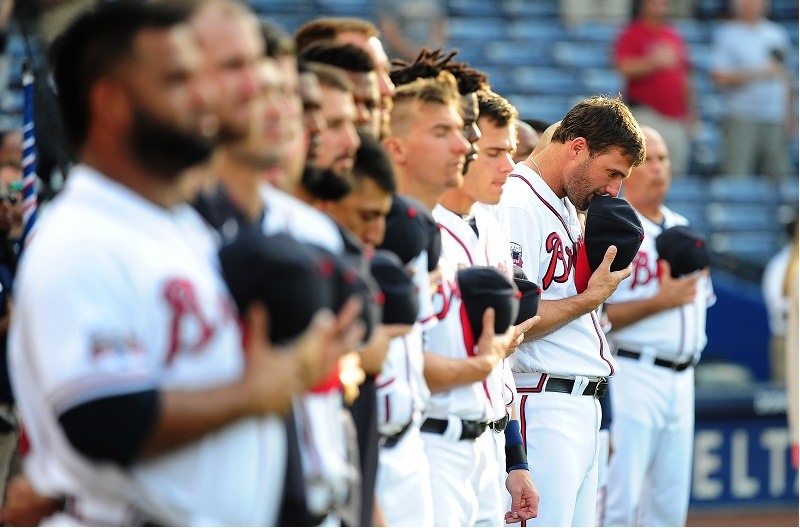 The Braves rank last in runs scored, last in home runs, last in slugging, and last in batting WAR. Anyway you cut it, the offense is historically bad. The 84 home runs hit by Chris Davis, Manny Machado, and Mark Trumbo outnumbered the entire Atlanta team’s (79) by mid-August. Meanwhile, the pitching staff is a bottom-five group as well. Braves starters were 26-53 with a 4.65 ERA in 119 starts. This team was destined to be terrible, and it has lived up to the hype. Like the other tanking teams of 2016, the Cincinnati Reds went out of their way to build up the farm system and trim payroll going into the season, and you had to expect something like 100 losses by season’s end. 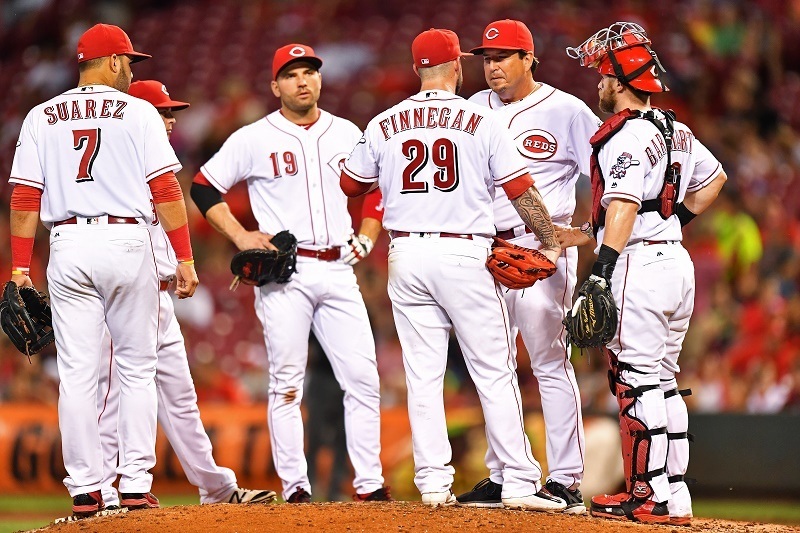 There have been powerhouse performances by Adam Duvall, Jay Bruce, and, in his second-half onslaught (.451 BA, 1.239 OPS), the great Joey Votto, but the pitching staff has been baseball’s most dreadful this season. Call it the Big Earned-Run Machine. Only the Diamondbacks allowed more earnies by mid-August. Meanwhile, the Reds pitching outdid every other team in the league when it came to allowing walks and surrendering home runs so other teams could cash in those free passes. The bullpen (5.04 ERA) is the sorest spot of all. That performance notwithstanding, the unbelievable second half by Votto and the return of Anthony DeSclafani have stabilized this team somewhat. Cincy actually pulled off a winning record (13-11) in July. Maybe the club has a run in it to keep the Reds from title of worst team in baseball by year’s end. While the tanking teams of Cincy and Atlanta were too doomed to succeed, the reloaded Arizona Diamondbacks were one of the most hopeful projects of the offseason. There were bad trades that gutted the team of prospects and the aggressive overpaying of Zack Greinke, but it looked like the pitching staff had a chance to compete with the menacing offense behind it. Some predicted, boldly, that this team would be the breakout sensation of 2016. Then the pitching staff went out and pitched, and the balls haven’t stopped flying over fences at Chase Field. 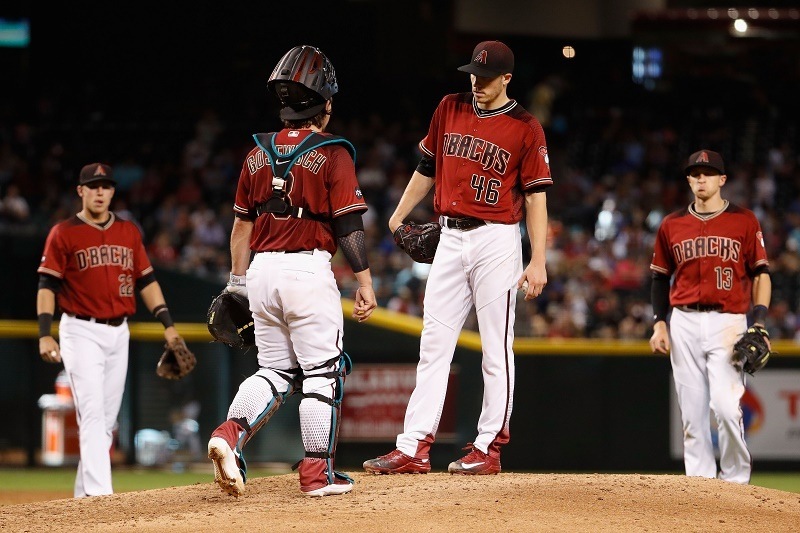 D-Backs pitchers sported an MLB-worst 5.09 ERA through mid-August, with the once-promising Patrick Corbin (4-12, 5.58 ERA) and overhyped Shelby Miller (2-9, 7.14 ERA) stinking up the joint worst of all. But you can’t pin it all on those two. Every pitcher outside of Brad Ziegler performed below expectations, and the Zieg got traded for his effort. As a result, Arizona has taken firm control of last place in the NL West and has the game’s worst record since July 1. Could the Diamondbacks pull off an upset and lock down the worst record of 2016? Stay tuned — that once-impossible notion has potential. 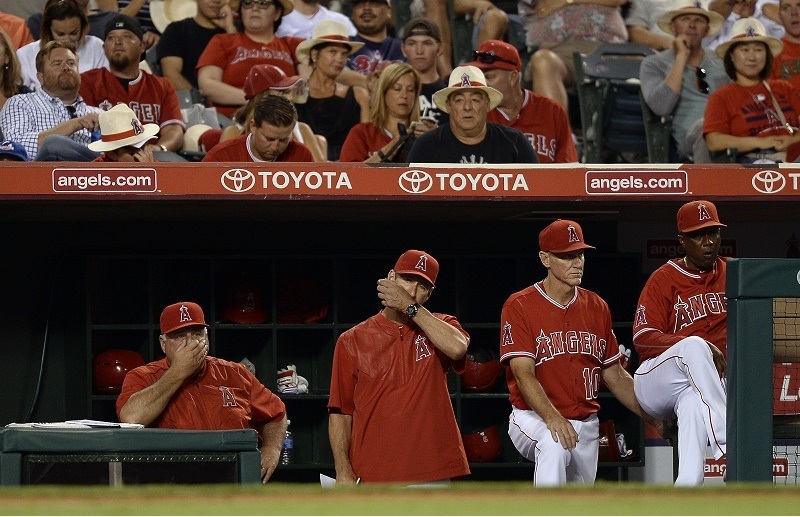 Like a dark horse quickly gaining ground from an outside lane, the Los Angeles Angels of Anaheim have come charging into the picture with some awful play. In the 14 games since the trade deadline, the Halos produced an unsightly 3-11 record that included a 11-game losing streak. The presence of the incomparable Mike Trout has not been able to lift this team above its terrible station in 2016. We expected the offense to be bad after the top four in the lineup, and to its defense the C.J. Cron injury hurt a lot, but the AL-worst pitching staff has been the real culprit here. Sure, it had its horrible injuries as well (Garret Richards, Huston Street), but the arms left on the club have served up batting practice on too many Anaheim nights. As hard as the Angels are charging to the bottom of the pack, it’s hard to see any slowing down with the schedule ahead. The club’s next 11 games all come against winning teams in the playoff hunt, and Anaheim has been mincemeat for such opponents of late. Can the Halos pull off an upset and be MLB’s worst after such a long run in the middle of the pack? If this play keeps up, anything is possible. Statistics courtesy of Fangraphs and Baseball-Reference.